Each apartment has its own atmosphere, its own face and its own style. 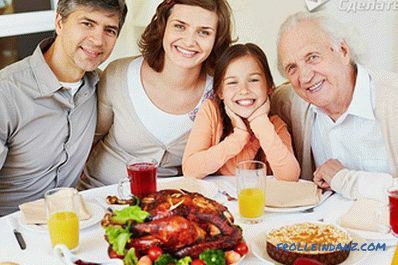 First of all, it concerns rooms in which the whole family often gathers and where receptions are held. Since the living-room is considered to be the “heart” of an apartment, it is therefore necessary to approach the creation of the design of this room with full responsibility. 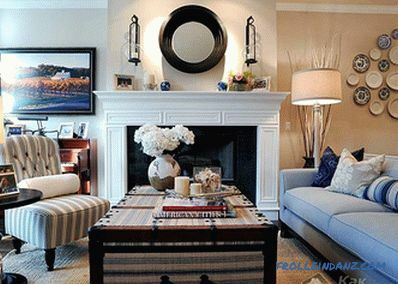 This article will talk about how to arrange a living room in the apartment. Family leisure time or relaxing with friends can be spent in any size room , although not all of them have spacious rooms of regular shape. The available small space with the help of thoughtful design can be changed so that the disadvantages of such a room will turn into advantages. Before the process starts registration is important to determine what kind of living room should have. In its interior can embody any style, but you need to proceed from what the dimensions of the room and its location in the apartment. 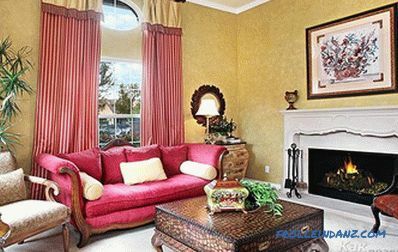 Special fashion trends are inherent in our time, so it’s worth considering how to modernize your living room. 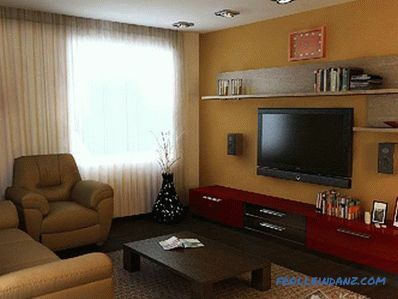 Different variations are possible in the improvement of a small living room. 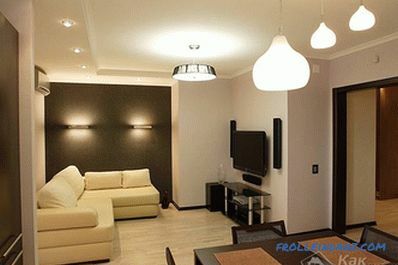 If space expansion is required, the room should be filled with light shades and a minimum of furniture should be used. 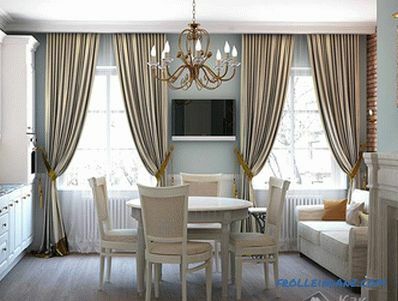 In this case, it is possible to use high-tech style or minimalism, or, there is a desire, you can create a room-box with antique furniture and things, heavy curtains and other attributes characteristic of the classical style. 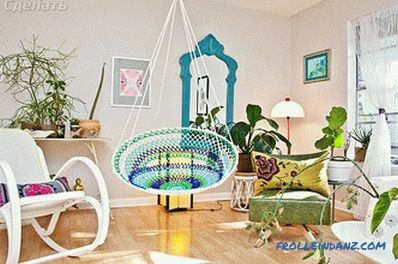 The design of a small living room, designed in a loft style, may also be of interest to which creates a bright space, not overloaded with furniture. Expansion of space is achieved by minimizing the finish and the use of simple furniture suitable for this room. 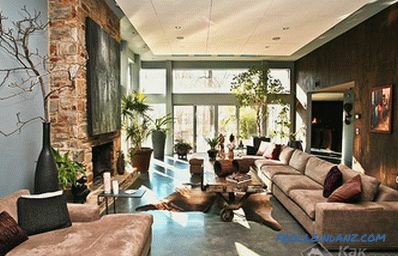 Loft style requires to exclude all unnecessary - furniture and decorative elements. Such urbanism will be appreciated by modern young people, for whom space and lack of restrictions in everything, even in the interior, are above all. Retro style is characterized by a combination of the most unpredictable shades: pink and black green with yellow, red with orange. These color schemes are also used in finishing materials, accessories, furniture upholstery. This style is inherently very good lighting, which can be done using lamps with a fringe or lamp shade, lamps with laces, floor lamps in the style of the 70s. 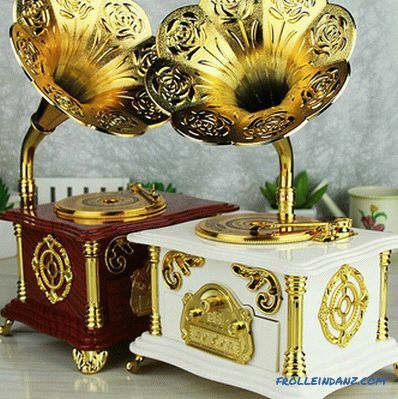 To more emphasize the retro style, it would be nice to add to the interior of the living room antiquities - gramophone, old black and white photographs depicting cityscapes, rocking chair, record player. The Art Nouveau design requires a lot of free space, but excludes strict straight lines. The main colors of the modern design are light shades in combination with golden, yellow, brown and red. 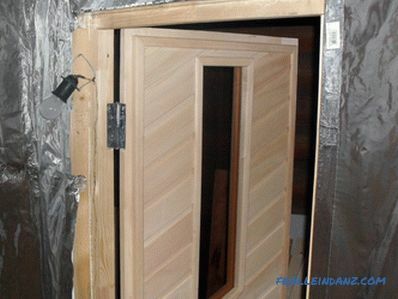 From materials necessarily present glass and wood. The windows will look beautiful lambrequins and curtain holders. 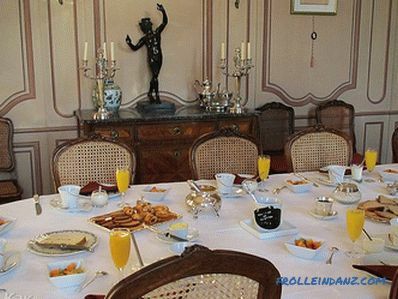 The main criteria for the Art Nouveau style are naturalness, simplicity and comfort. 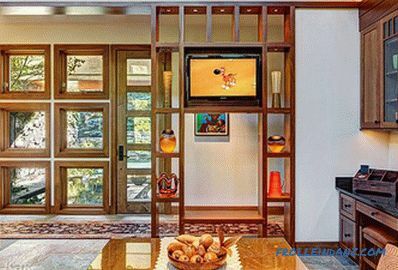 The design of a small room can be made in African or another ethnic style. Minimalism is ideal for a spacious living room, not overloaded with excesses, and therefore this room will look airy and light. Classic style can be used in the design of a narrow living room, also combined with a kitchen or dining room. 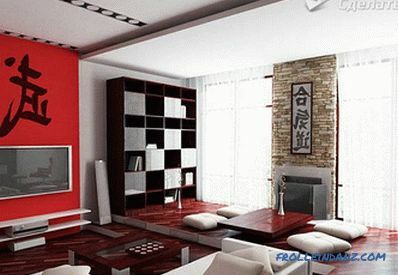 Interesting design of the living room in the Japanese style with its inherent asceticism and impersonality. In the current interpretation, the podiums can be seats on the floor while the coffee table can be used as a low Japanese table, and the hieroglyphs will decorate furniture and accessories. 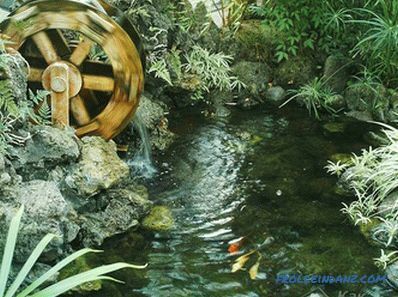 The use of purely traditional things will let you feel the atmosphere of the Japanese mood. 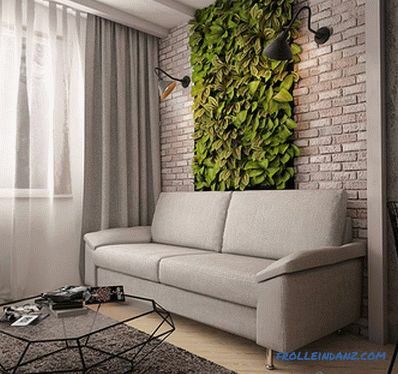 I found in private households and apartments with large living rooms widespread use of eco style that unites room space and nature. The layout of most modern apartments often does not allow creating such an interior, and cottages with spacious rooms and a large number of windows are a suitable option for the realization of eco-style. The living rooms in such houses are located on the first floor, and through the glass sliding doors you can go straight into the garden, which creates many ideas for eco-design. 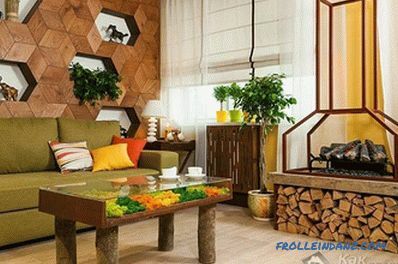 The work applies only natural environmentally friendly materials - stone, wood, cork, rattan, wicker, natural fabrics, which helps to feel the natural atmosphere of nature. 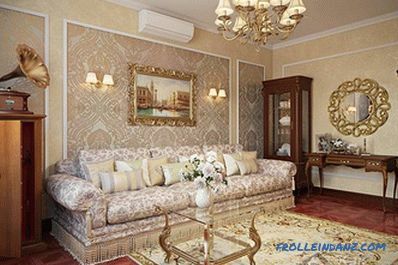 It is possible to decorate the living room of a large size in the spirit of the classics with all the luxury and pomp inherent in this style. Classicism is distinguished by the presence of stucco molding, columns, mirrors framed in wood and carving, forged furniture, heavy expensive curtains and, of course, a fireplace. The only thing that is unacceptable for a classic style is cheap fakes. 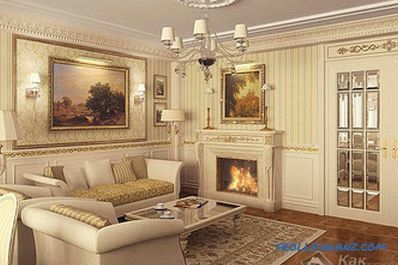 It is a classic-style living room that will be a suitable room for collectors. In such a room you can arrange paintings, sculptures, old toys and other rare and ancient objects. 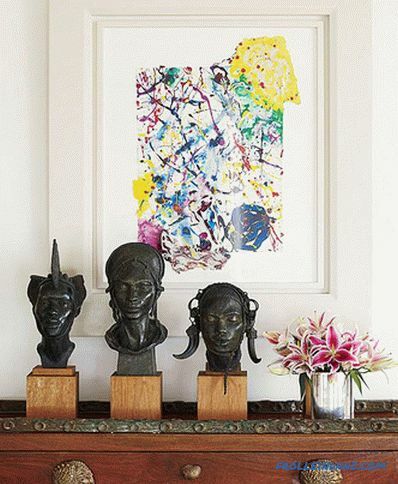 They can be hung, placed on special podiums or in niches of walls. Thus, in the apartment you can create your own private gallery. If the room will be used for outdoor activities, parties and other entertainment, it can be arranged in a minimalist style. 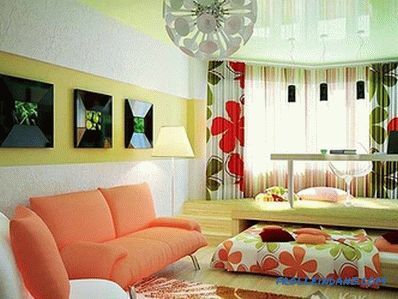 As you can see, there is a design for the living room lots of ideas. 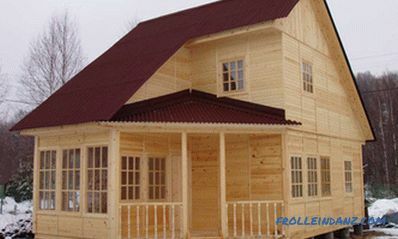 The main goal is not the embodiment of bold, but not suitable fantasies, but the comfort and convenience of homeowners. 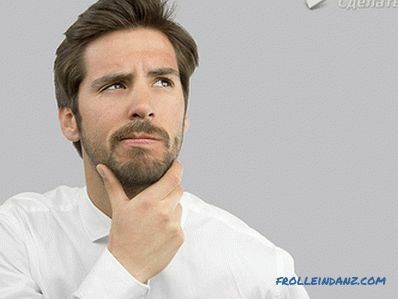 When, finally, the chosen style, there are questions related to the planning of the space, the choice of finishing materials, the acquisition and placement of furniture, the use of decorative elements and accessories. To make efficient and functional use available space, thoughtful planning is needed. 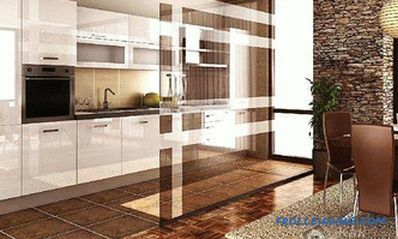 If there is a need to combine the living room with the kitchen and dining room, it is necessary to determine the possible location of the dining table and take into account that the so-called "wet" zone is not transferred from its original position. Then by means of finishing it is necessary to visually separate the soft zone from the dining area. Room space is better divided across, not along, to select two or three square zones, rather than one narrow “pencil box”. If you plan to place a workplace in the living room, you should arrange it if possible closer to the window, or equip it with high-quality lighting. For the children's play area in this space, the floor is warmed and this area is filled with sports equipment and educational toys. For karaoke in the living room, you can choose a place and equip the podium. There are enough options for planning the living room, but the main rule is that the center of the space is the dining and living area. Now that the layout issues have been resolved, You can choose finishing materials. 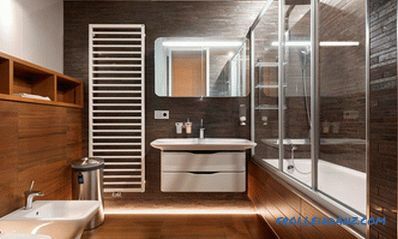 Moreover, the finishing options need to be combined with the chosen style and with the design of functional areas. 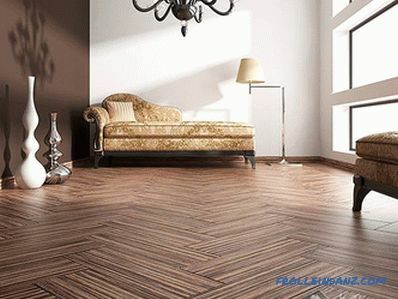 The floor in the living room can be made of durable, beautiful and at the same time presentable materials: parquet or laminate. For eco-style, cork is suitable as a floor covering, and for the playing area - carpet. 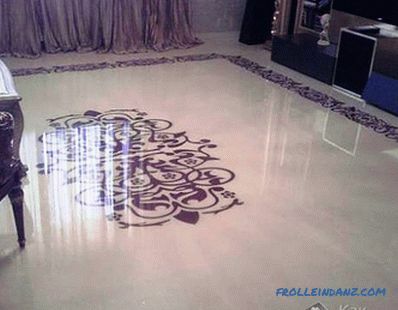 Luxury self-leveling floors are very popular nowadays. They look especially good in the living room. To delimit the space, a catwalk is erected into the zones or used in the design of the floor colors. The walls can be covered with wallpaper, decorated with decorative plaster or painted, and for the loft style imitation of brickwork is relevant. It will look very beautiful if you select one of the zones with original wallpaper or textiles. Shades of materials for the walls are used light - so the room will visually become larger. 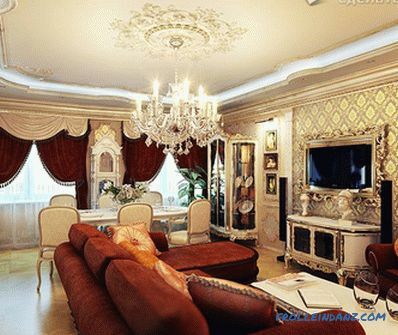 If the living room is small, then one of the walls can be decorated with mirrors. In this case, the space is visually increased. 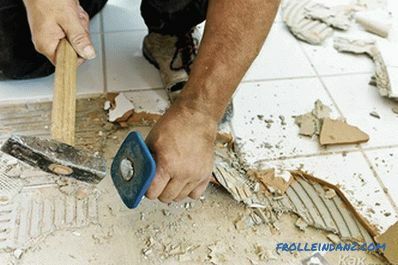 And finishing the walls to a glossy surface will create an airy atmosphere. 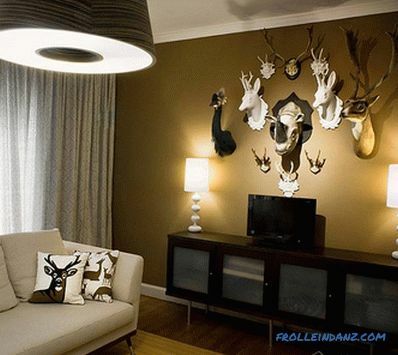 In order for the living room to give a cozy, warm atmosphere, you must effectively decorate the walls . 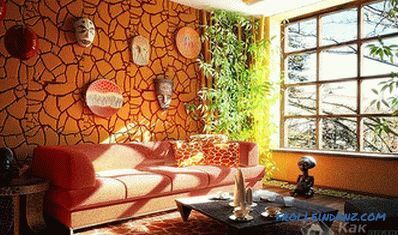 Moreover, this should be done in such a way as not only to fill the emptiness of the wall, if only with what, but to choose decorative items according to the style and color of the room. 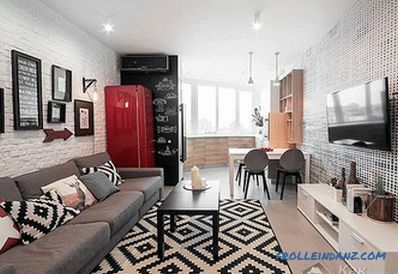 For the design of small standard living rooms, urban style is most acceptable, including comfortable modern furniture without any bends and curlicues. 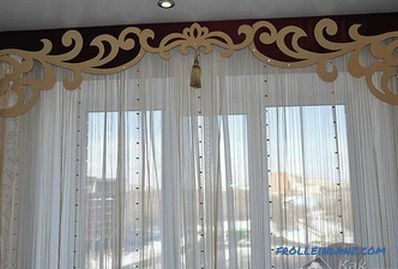 The walls are usually decorated in bright colors, they are ideal for straight curtains without drapery. And thanks to decorative textiles, the room will come to life and become brighter. 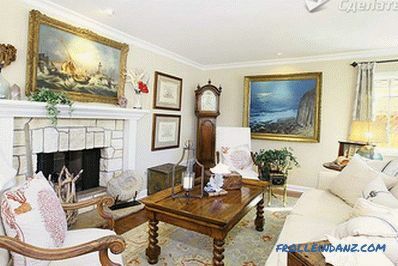 Walls in such an interior are decorated with narrow shelves with large photographs, large posters, and of course, modern paintings in flat, thin frames. 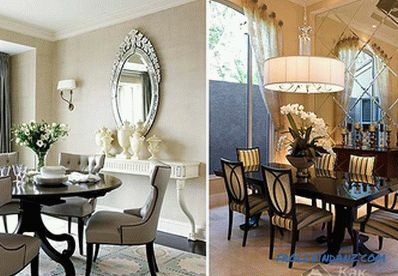 You can use mirrors in the design of the walls - this will visually increase the small space of the room. Decorations for compositions on It is more expedient to select a wall in accordance with the chosen style and color scheme. In the interior of Provence style - pastel styles will be used in the interior of Provence style wallpaper and bright colors of calico. On their background the furniture of light, as if burnt out shades will look very aesthetically pleasing. Decorative plates or wall compositions of dried will be a bright accent on the wall flowers both within and without frames. To make the living room in the style of Provence fresh notes, one of the walls is isolated with wallpaper of a different color or draped with light textiles. Usually the room is large and comfortable sofa or sofa area. 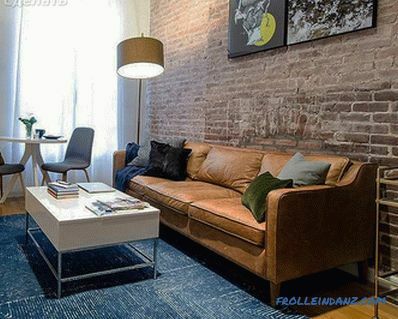 If the area allows, then use two sofas of the same texture, but in different colors, and a pair of chairs of the same color. 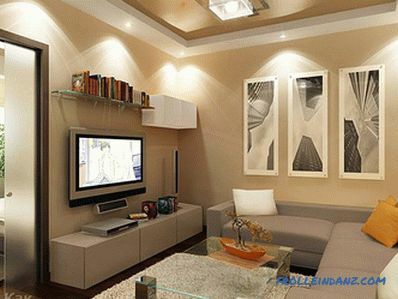 Thus, in the living room can be framed soft zone. On the opposite wall from the sofa zone have a large TV. 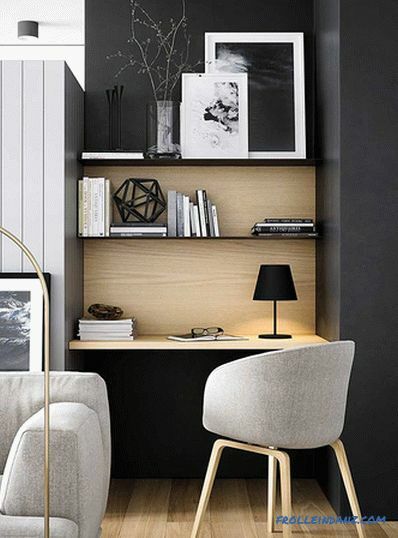 In order not to clutter the room with massive elements of furniture, it is better to use the TV stand, where you can also place books and decorative items. The center of the sofa zone will rightfully occupy a coffee table designed for tea drinking and board games. The work area can be separated using open book shelves. This is a functional solution, because it creates the effect of a kind of library with a desk and a soft chair. It is advisable to place a fireplace next to the sofa area. If, for any reason, the construction of this fireplace cannot be done, the installation of a decorative or electric fireplace may be an alternative. 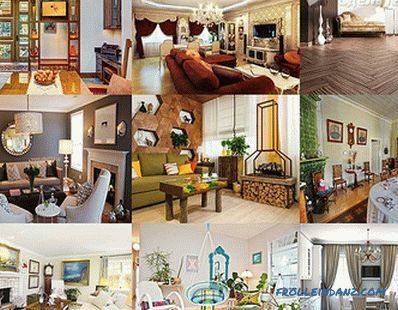 In the small living room, in order to save space, you can install transformable furniture: cabinets, shelves, armchairs, sofas, tables. moderation should be for everyone - this unshakable principle is also true for decorative elements. In the spacious living room there may be a large number of decorative items, but all of them must be combined with one of the chosen styles. This applies to accessories, figurines, sculptures, paintings, wall photographs. 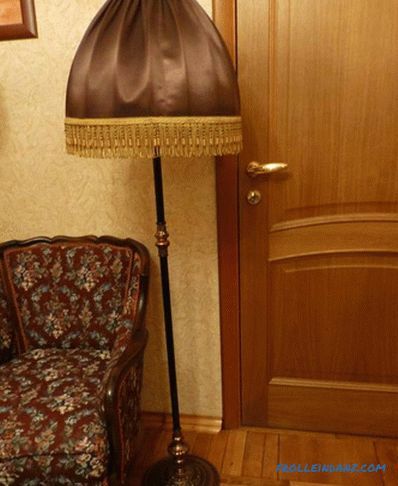 As a decor, there are unusual luminaires in this room. 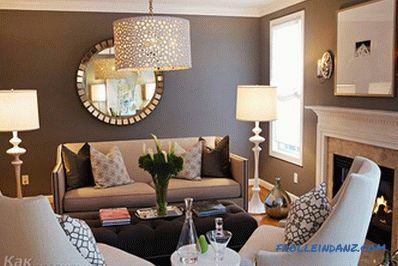 For good illumination of a large room, a single chandelier may not be enough; therefore, wall lamps, floor lamps, built-in lamps or niches are installed. Creating the interior of the living room, it is important to remember that the main purpose of this room is a comfortable rest with the whole family. Therefore, using various ideas, you can equip a cozy corner for family communication or an entertainment area for relaxing with friends.